Tag Archives for " Ryan Kettler "
Thursday is guest post day here at Duct Tape Marketing and today’s guest is Ryan Kettler – Enjoy! You may have heard that content is king. Backing up this cliché is the fact that paid advertisements that interrupt people just aren’t working that well on the Web anymore. These days simple, helpful, instructional content is more effective at attracting new customers to your website. But to take advantage of the power of content marketing, you have to have website content that attracts your targeted audience. Don’t worry, even if your existing website is lacking, the process I’m about to share will still set you on the right path going forward. Take a look at your website and start building a master list of all the keywords you’re already using. One way to find your existing keywords is with a free BoostSuite account. BoostSuite (the company I work for) will crawl all of your pages and show you a list of all of your keywords automatically. Also, if you already have a Google Webmaster Tools account you can export a list of keywords from there too. Or you can simply view the source code (in your web browser) of any page of your website and search for the text “keywords.” And even if you haven’t set any keywords for your web pages you can use this free keyword extraction tool to find your keywords by typing in your URL. Repeat this last step on all of your competitors’ web pages to make sure you don’t miss some incredible keyword they’re using that you haven’t caught on to yet. 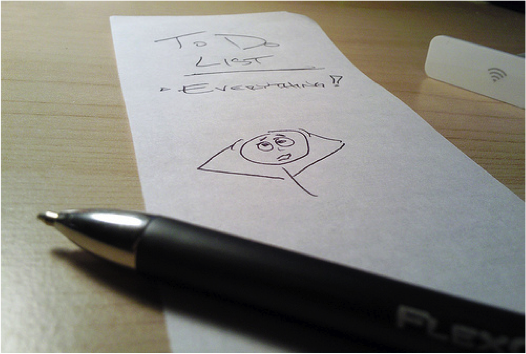 Now that you’ve created a big list of keywords, let’s figure out which ones actually matter. Not all keywords are created equal, especially for your unique business. The best keywords for your marketing strategy are keywords that have high search volume (lots of people searching for them) and low competition. Copy and paste your big list of keywords into a keyword research tool like Google Adwords keyword tool to determine the search volume and competition level for each. Sort your keywords by search volume (highest at the top) and then move any keyword with a high competition level to the bottom of the list. Take your top 25 keywords and copy them into a new document. You are now looking at the keywords that will take your content marketing strategy to the next level. Let’s see how your current website stacks up. Now that you have your top keyword list, beside each keyword write the page URL of a single page on your current website that is about the keyword. You can do this manually or use a tool to automatically map your keywords to your existing website pages. How many keywords have matching pages? Great content marketers have at least one page of content about each of their most important keywords. For keywords that are matched to a page, make sure that actual page has the exact keyword in its HTML title, meta description, and H1 heading. You will probably also have some leftover keywords that cannot be applied to any existing pages, and that’s great! These keywords become your writing punch-list, meaning your next blog post should be about one of them. Write a new blog post then optimize it for one top-opportunity keywords. Keep writing new content until you have at least one page on your website about each of your top opportunity keywords. Follow these three easy steps and you’ll start marketing your business online using content that will attract your perfect target audience, just like the pros do. It’s that easy. Did you find some new keywords for your business that surprised you? If so, tell us what you learned in the comments below. 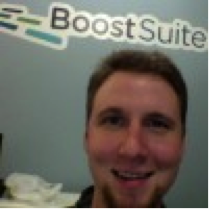 Ryan Kettler is Director of Communications at BoostSuite. He’s an internet marketing zealot, sports fanatic, devoted runner, avid golfer, beer connoisseur, and live music enthusiast. When he’s not writing or helping BoostSuite customers he can be found running 5ks, sampling IPAs, and attempting to dance/sing at concerts. BoostSuite allows small business marketers to get more website visitors, sales leads, and customers by optimizing their websites on their own. Follow BoostSuite on Twitter and Facebook.